The 9th U.S. Open Taekwondo Hanmadang was such an incredible experience for all of us. Having competitors from all over the globe, we were rubbing shoulders with some of the best Taekwondo martial artists. Yet, even amongst thousands of other martial artists, TKC Seraphim Demonstration Team stood out. We were able to shine our unique light with our skills, unity, and respect. 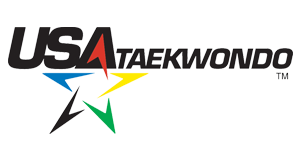 Throughout the competition, there were Masters and Grand Masters from other Taekwondo studios taking videos of our students' forms, breaking techniques, and performances. We were asked multiple times where we were from and how we have achieved not just our Taekwondo skills but also our unique teamwork and family-ness. Even the Grand Master of an internationally-renown Taekwondo studio came up to our Masters and asked to hold seminars for them. We were beyond thankful to be able to share with them what we have been first given by our Grand Master Lim and Masters. Now, we have brought back over 20 medals, consisting mostly gold medals. However, if you ask any of our TKC Seraphim members or the parents, none of us would say that our medals were the most important part of our trip. We believe that our journey was the most precious part of our trip. We are the most proud of the fact that we sweated months together, challenged each other, sacrificed for the betterment of the team, and travelled 14+ hours to represent who we are. Nations saw who TKC was and were amazed. We will not stop here, but use this experience as a stepstone for achieving our full potential. The parents, families, and members of TKC Seraphim, thank you for your hard work. It is because we all worked together that we have achieved what we did. Every single one of your effort made a difference. Truly, we lived out the slogan of TKC--united pursuit for excellence.